Yoga for Athletes Series is Here! 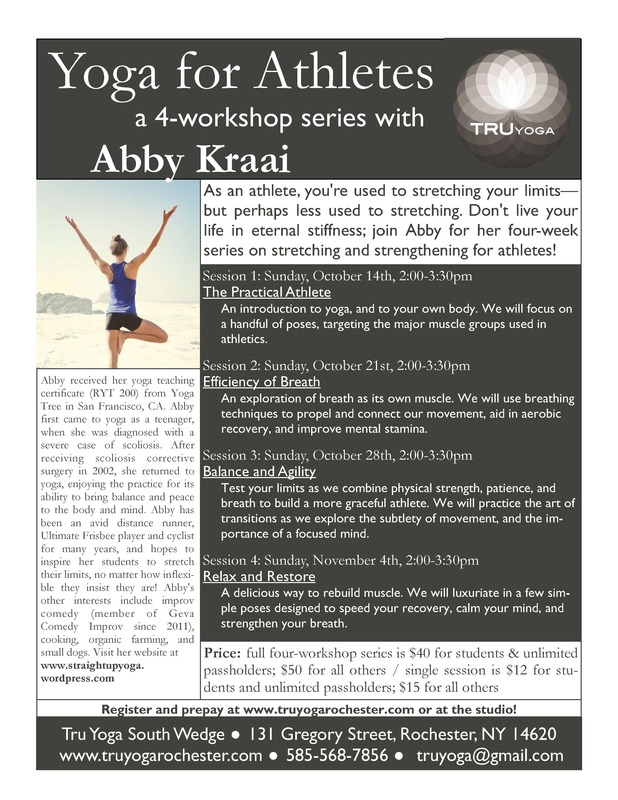 Join me for a four-Sunday series on Yoga for Athletes at TRU Yoga South Wedge! We will explore the use of breath as its own muscle, improve balance and agility, and of course, enjoy a wonderful stretch. Workshops will meet Sundays, Oct 14, 21, 28 and Nov 4, 2-2:30pm. Email truyoga@gmail.com or visit www.truyogarochester.com to sign up!